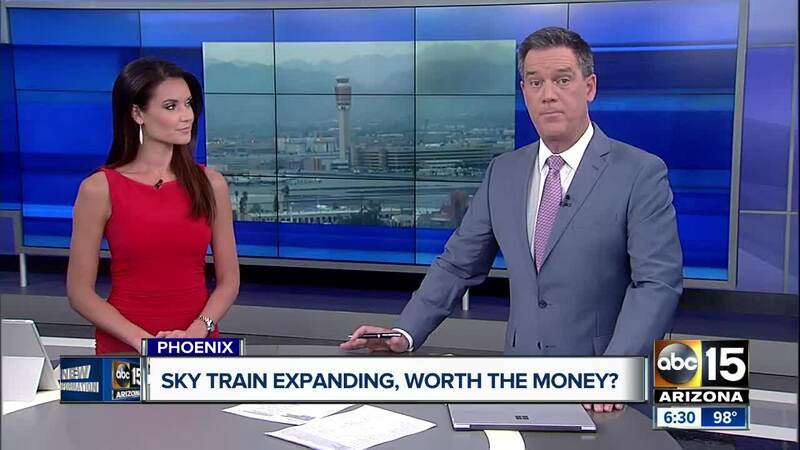 The Sky Train at Phoenix Sky Harbor is getting a major expansion. 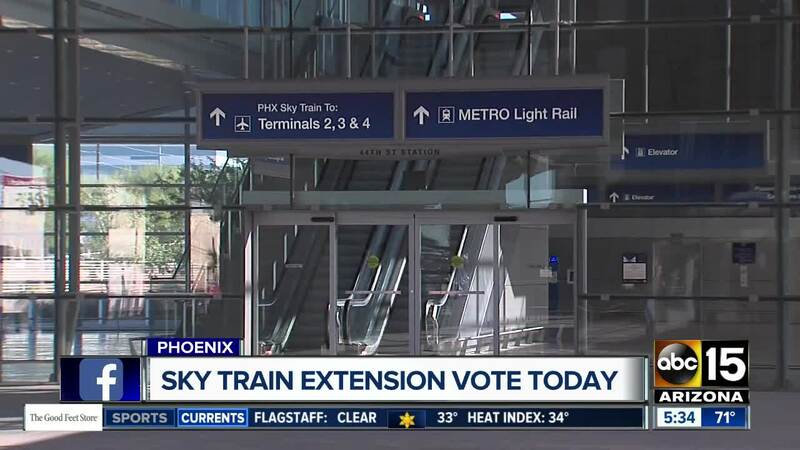 On Wednesday afternoon, Phoenix City Council approved a construction contract with Hensel Phelps to spend up to $265 million to extend the Sky Train from Terminal 3 to the rental car center, according to Sky Harbor Spokesperson Krishna Patel. Phoenix City Council had already approved the PHX Sky Train extension to the Rental Car Center. So far no tax dollars have been needed to fund the project. Patel says the project is paid for with Rental Car Customer Facility charges and Airline Passenger Facility charges. The project is expected to take through the end of 2021 or early 2022.